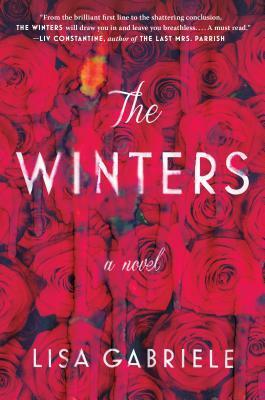 Thank you to Penguin Random House Canada and Doubleday Books Canada for sending me a beautiful ARC copy of The Winters by Lisa Gabriele to read and share my review with my followers. The book cover is beautiful. A young woman is living on the Cayman Islands. She is living in housing that is provided by her employer – an Australian named Laureen. The young woman works for Laureen and her boating company, to pay off some debts that were left behind after her own father had passed away. One day at work she meets an older, wealthy and successful man named Max Winters. He is good looking, rich, lives in a mansion on Long Island, and is a widower. Before long they are spending time together as he hires her to take him out on the boats belonging to the boating company. They have a whirlwind romance, and very soon Max Winters asks her to marry him and move with him back to the USA. Excited to start this new chapter of her life, she says yes and makes the move with Max back to Long Island. She is anxious though, as Max has a teenage daughter named Dani. She can be upfront, rude, crude and sassy and does not take to her father’s new girlfriend at all. In fact, Dani seems intent on making her life a living hell and will stop at nothing to ruin the relationship. Slowly, she learns things about her fiance and his past marriage. Things that Max has kept from her. Did he simply forget to mention such things to her or did he deliberately lie and withhold things from her? She finds herself beginning to question if she truly knows her fiance at all. I enjoyed this book and the story line of it all. It was a bit slow paced in some parts, but overall I found the plot interesting and enjoyed reading about this twisted whirlwind of a romance. What started off as a seemingly beautiful love story ended up dark and sinister…Are we to believe Max Winters, the handsome rich man or seems to have it all, or do we believe his troubled teenage daughter who seems to stop at nothing to destroy her father’s new relationship and stop the marriage before it happens? Dani is all messed up. She clearly has issues, acting hot and cold towards her father’s new fiance. One day she seems nice and sweet and interested in building a relationship with her soon to be step-mother, and the next day she is out to embarrass and destroy her. I felt myself sorry for her at times throughout the book. She did lose her mother after all, in a tragic accident that claimed her mother’s life. She was really close with her mother. Dani was easy to dislike in this book after all the stunts she pulled to try to ruin her father’s new relationship. Max seemed like the perfect man who had it all. A great job, he was handsome, rich, lived in a mansion, had a daughter and was engaged to be married. Is he truly the perfect man his fiance thinks he is, or is he more dark and sinister? Overall I enjoyed reading this book and there are a few shocking twists and turns in the book that I didn’t see coming. Great review, Michelle! I have this and need to get to it soon! Thank you! I hope you get the chance to read it soon and enjoy it. I am looking forward to reading your thoughts on it.